Public speaking refers to the process of effectively and confidently speaking to a large group of individuals in a more deliberate and structured manner with an aim of informing, entertaining and influencing listeners. The major purposes of this process include the simple transmission of information, story-telling and motivating people to take action. It should be noted that an effective public speaker is someone who is actually capable of changing the emotions and informing listeners. It is also used as a community designed for discourse. If you want to become an effective public speaker, then it is advisable for you to remember that this process has various components linked to interpersonal communication and embraces essential aspects like personal or leadership development, large group communication, customer service, business, mass communication and motivational speaking. This process is an extremely powerful tool that you can use to motivate, persuade, inform, translate and influence. It should also be noted that there are numerous tips that can help you in improving your confidence when it comes to speaking to the public. One of these is to familiarize yourself about your material or speech. It is also important for you to regularly practice by rehearsing loudly using all the equipment that you intend to use on the actual speech. Knowing your audience and the specific place where you need to speak is also a huge help. Deciding to enrol in the public speaking certification program available at Brainmeasures is the best thing that you can do if you are one of those who are regularly tasked of speaking in public. This public speaking course is created in a way that it works for all aspiring public speakers regardless of the major reasons why they have decided to improve their skills in the field. This online certification course allows you to access a public speaking training which is a huge help in increasing the level of your understanding about all the skills needed to become an effective public speaker, different strategies that will allow you to overcome your fear in facing the crowd or speaking to a large group of people, how to deliver the most effective and powerful public speech and the many things that you can do to make sure that your speech is delivered in such a way that you intend it to. 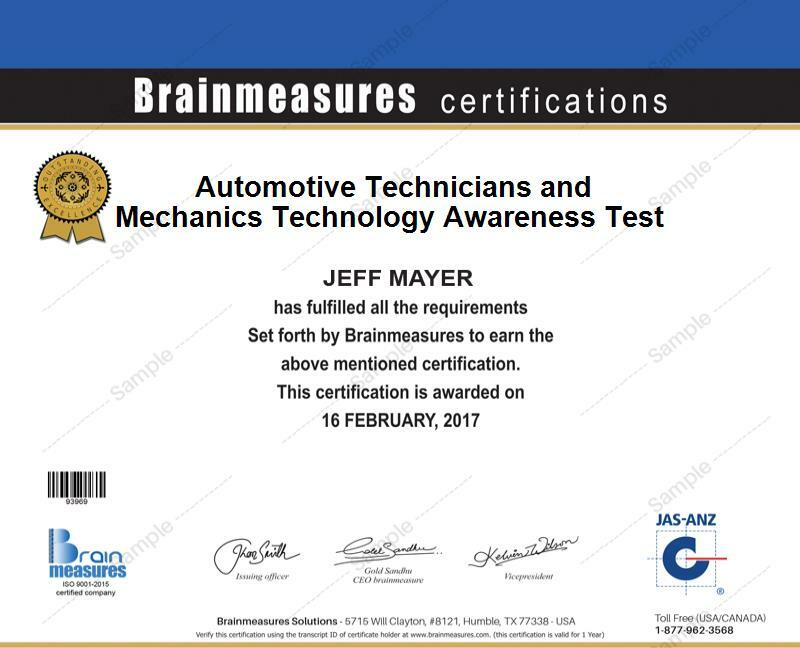 You will be able to impress a lot of people with your skills and expertise in public speaking especially if you show them the certificate that you have received from Brainmeasures. How to organize your ideas? How to effectively prepare your notes for the speech? How to effectively deal with anxiety and stage fright? The public speaking certification program offered by Brainmeasures aims to develop the personality and confidence of all its participants especially in the field of delivering a speech. It helps facilitators, business managers, executives, directors, speakers and any other professionals who are regularly in charge to hold events and speak in public with an aim of informing and influencing them. You will also find the act of completing a public speaking certification course rewarding because it can help you enjoy a higher salary. You can expect the certification to help you in your attempt to work as a public speaking instructor and start earning at least $49,000 every year. Working as a public speaking consultant can also do great things for you since it allows you to enjoy an annual average salary of $87,000.